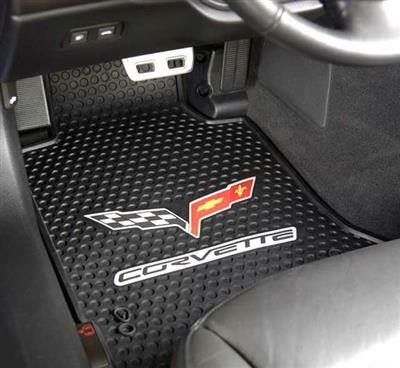 Signature Rubber is the only licensed custom fit, molded rubber emblem mat designed specifically for all Corvette C6 models. Lloyd has combined premium materials and innovative engineering to create this perfect blend of form and function. 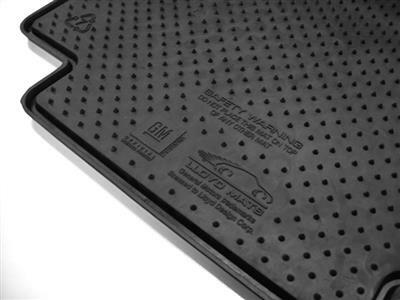 A specialblend of natural and synthetic rubber makes Signature Rubber highly durable and abrasion-resistant. The beautiful multi-color C6 double logo design is permanently molded as part of the mat structure, for years of exceptional appearance. This great look and performance makes Signature Rubber a mat for all seasons.